Physical therapy following surgery can help promote healing and ensure you return to a healthy condition more quickly. 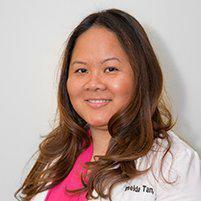 Dr. Imelda Tan, PT, DPT, CES uses the most advanced techniques and methods to help patients in and around Midtown East and throughout New York City enjoy optimal health and wellness following a wide array of surgeries. How does physical therapy help with post-surgical rehab? Is physical therapy only for people undergoing orthopedic surgery? While it's true physical therapy is an essential part of recovering and regaining strength and motion following surgery for orthopedic issues affecting the bones and soft tissues, it can also play an important role in recovery and healing from other types of surgeries by promoting better circulation for faster and more comfortable healing. Ask your surgical doctor if physical therapy could help you during the recovery phase following your surgery. What should I expect during my evaluation appointment with Dr. Imelda Tan, PT, DPT, CES? During your initial appointment, Imelda will review your medical records and treatment history, as well as discuss any symptoms you're having. Next, she'll discuss the types of treatments she'll be performing including the exercises she uses so you can understand how each activity will help you heal more quickly and regain strength, mobility, and flexibility. Some of the initial treatments will be used to evaluate your strength and flexibility so she can customize your course of treatment specifically for your needs. Imelda believes strongly in patient education, so there will always be time to discuss your concerns or answer any questions you may have. Physical Therapy is a medical expense covered by most major insurance plans. In order for therapy to be reimbursed by insurance, a doctor's prescription is usually required. However current trends in Physical Therapy now allow therapists practicing in New York State to evaluate and treat patients without an MD referral or prescription. This is called Direct Access. You are entitled to a 30-day treatment period or 10 visits, whichever occurs first. This is an advantage for patients who wanted to get immediate care without making an appointment with the doctor. After performing the evaluation, your Physical Therapist will communicate with your primary care physician regarding medical findings as necessary. If further treatment is needed, then a referral from the physician is required. Most insurances pay for treatment under Direct Access. Our Insurance experts will verify coverage prior to your first physical therapy appointment. If your insurance plan doesn't pay for Direct Access, we can assist you in getting a Physical Therapy prescription/referral or you can payout of your pocket for a discounted fee in order to receive treatment. "Great spot in midtown for some physical therapy. The therapist is very knowledgeable and super friendly." "Convenient location and flexible hours. Imelda was very friendly, treated me for shoulder pain. I am back to working out in a short period of time."